Bridge Street Live welcomes SOMEONE YOU CAN XRAY for the debut of their third album, "Hot 'N Fresh," on Saturday, June 9th! 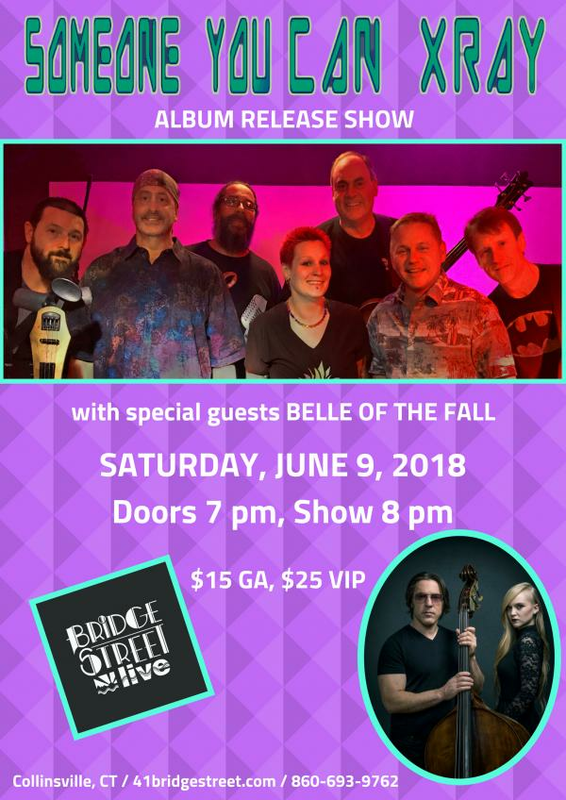 Special guests, BELLE OF THE FALL, to open the show at 8 pm. Founded in 2012, this 7-piece original band has been writing and playing music all over Connecticut and New England for crowds of all ages and tastes. Based in rock and blues, their music has a funky and fresh vibe, adding elements of country and bluegrass, world music, folk and more. With an array of different instruments and vocals, there's always something new! Tickets to Someone You Can Xray w special guests Belle of the Fall are $15 for General Admission and $25 for VIP Reserved (+ fees).